My sister made these over the holidays. They are blood-thickening. But oh, they're worth it. This is why you serve them as appetizers to a large group, so you won't be tempted to polish them all off on your own. You see, I'm just looking out for your well-being. But New Year's Resolutions aside, these are easy, and unexpected, little nibbles that will delight everyone they come in contact with. A perfect combination of salty, sweet and savory. Now you can have it all, rolled up into one. Chorizo sausage in casing (cooked or uncooked), spicy chorizo is wonderful, but it's a matter of personal preferance. Slice one side of the dates to open them up, but don't cut them clear in half, you want one side to remain intact. Remove the sausage from the casing and stuff a bit of the chorizo into each date. Wrap the date around the sausage, then wrap the date with some of the bacon. Secure each date with a toothpick. Heat a skillet over medium to medium-high heat, you don't really need to add oil as the bacon should do the job for you. Pan fry the dates on each side until the bacon turns dark brown, even a little blackened and the sausage is cooked through, 7-9 minutes total. Drain the dates on paper towles before plating. Serve to ooohs and aaaahs. Hello! I just found your site through Baking Bites, and I'm glad I did because you've got some great recipes up here. I'm a big fan of the Moosewood collection myself (although, I haven't actually gotten to the Enchanted Broccoli Forest book yet.. it's languishing on my shelf -- but not for long!). Happy cooking! These look incredible. They would be the first to go at a party, I'm sure. The photos look great. I think I could eat 100 of these. Oh man. These have all my favorite flavors! Decadent. You're right, these should definitely be served at a party because otherwise I would gobble them all up! 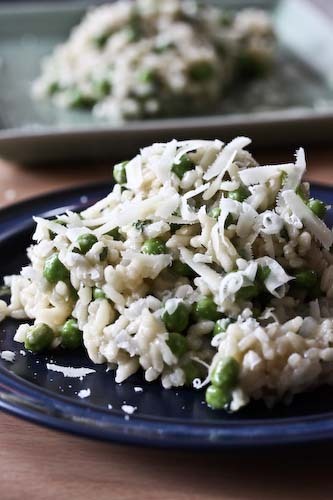 Perfect bite for a party! 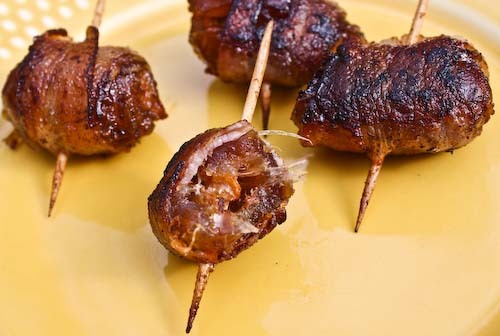 I made something similar, but stuffed figs with almonds and wrapped with bacon. The addition of chorizo is really interesting! 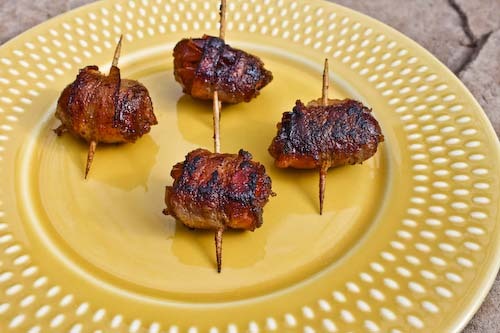 More than the typical bacon-wrapped dates. interesting! I ve never used dates in savory food. think they ll be delicious. The tantalizing fragrance of fried bacon always make my mouth water, my stomach rumble! What an excellent idea. Lovely! 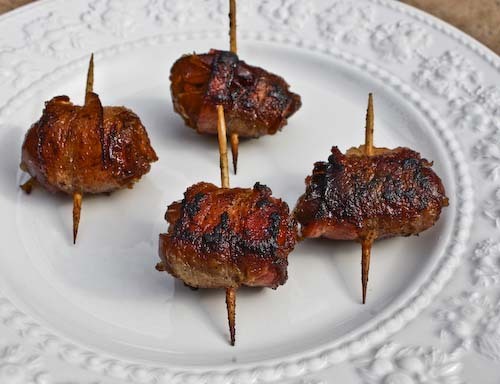 I usely stuff my bacon wrapped dates with goat cheese, but chorizo sounds heavenly! Amy, thanks for stopping by! I love Moosewood as well, I'm working on getting my hands on all of their books! Shari, thanks. They would be great for a party! Chrissy, true, kick it up a little! Esi, your blood would turn to butter! Olga, your stuffed figs sound wonderful! I LOVE figs, and I'll take them any way! Bensbaby, yup, it's a treat. Veggie Belly, I'm sure it can be hard dealing with meat as a veg. This one is so easy your husband could do it himself! Gine, lucky you! I love Spanish food, no one does party food like Spain! Gaga, yum! Goat cheese sound great! We could do half and half. I added sour cream to the Chorizo and made these for a friends B-Day party. Turns out tattooed bicycle riders love them even though they were surprised to be eating Dates. This looks awesome!can't wait to give it a try!